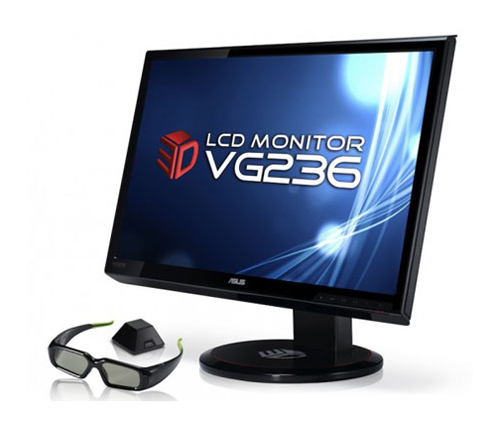 Asus introduces a new 3D LCD monitor, model VG236H. The Asus features a 23″ monitor that will retail for $589 USD which seems a bit steep. The good news is that it will include a 3D Vision kit at that price. The LCD display has a refresh rate of 120 Hz allowing a smooth 60Hz per eye with a 1920 x 1080 resolution. No complaint about the response time either, 2ms. As for connectivity to video output devices, the ASUS implemented DVI and HDMI inputs.